For years, Google Maps didn't support speed limits at all, a massively helpful feature on any navigation software. 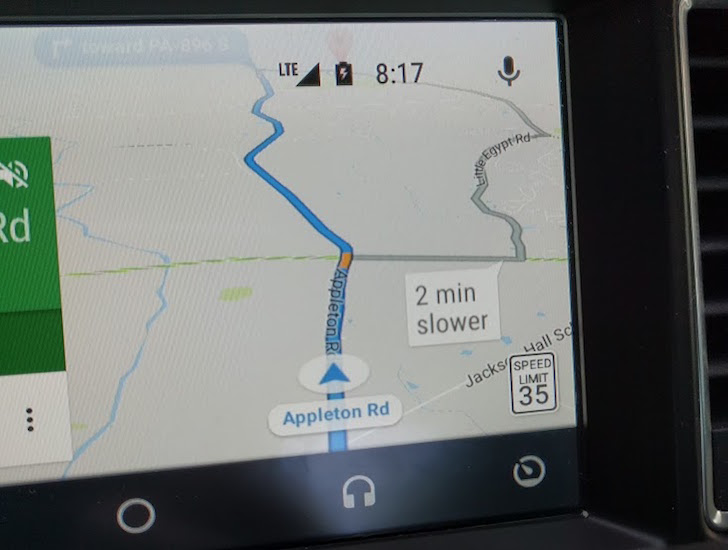 This finally changed last year, when the speed limit began to appear on Maps for Android Auto (and later the phone app). But it hasn't been available everywhere, and now Google has finally confirmed which areas have the feature. 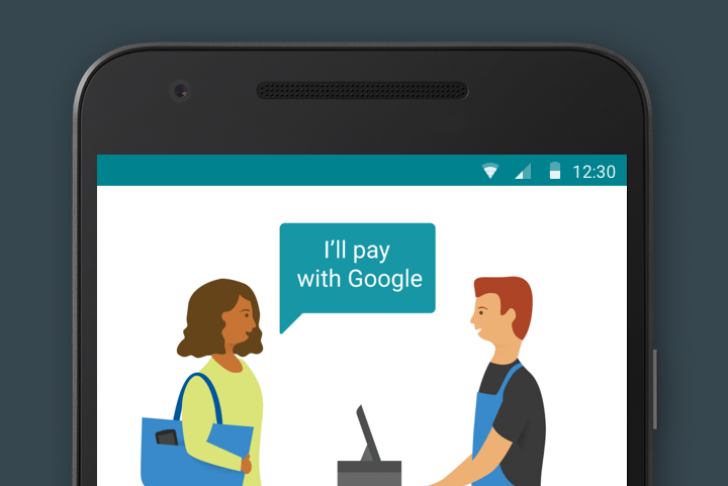 Ever since March of last year, Google has been testing a new payment method called Hands Free. The premise was that you could pay for goods with your smartphone without ever having to remove it from your pocket. The pilot was limited to the Bay Area and to only a few businesses. But now, the experiment has hit its end of life for the time being. As of February 8, Hands Free will shut down. Sprint may not have officially announced its plans to fire up the speedy LTE network outside of the initial launch markets and a few additional ones, but it looks like a working 4G-LTE connection can be already picked up in the Bay Area Peninsula way ahead of the rumored schedule. 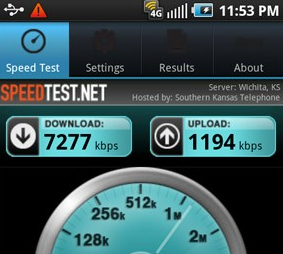 Our tipster Seth reported getting 4G connectivity on his Galaxy Nexus around Palo Alto and Mountain View, getting Speedtest.net speeds of 13+Mbps down and 8+Mbps up. After looking into the situation, I found a number of users of the S4GRU forum confirming connectivity in the same area, along with Sunnyvale and Cupertino, the home of Apple. Sprint announced earlier today that customers in San Francisco's Bay Area "can have happy holidays this year with increased 3G coverage." For those who haven't been obsessively checking the enhancement tracker on Sprint's network site, the Now Network has implemented 130 capacity upgrades in the Bay Area over the past 90 days alone, with 62 more enhancements planned for the next 90 days. Not only can customers in the Bay Area enjoy a better network experience, they can do so without worrying about their bill. Earlier this year, on June 16th (which also happens to be my birthday), I stepped out of a train in Mountain View and, to my delight, caught my first ever 4G signal in the Bay Area. It seems I was not alone, and soon many of you were reporting seeing a weak signal, which slowly grew stronger and spread across the Bay. Fast forward 6 months, and the announcement is finally here - Sprint just unleashed the 4G hounds and is officially supporting San Francisco, Palo Alto, San Jose, and Oakland in full capacity. The new WiMax connection has smaller latency and is over 5 times faster than 3G, although the coverage area still lacks quite a bit. Along with hundreds of thousands of people inhabiting the San Francisco Bay Area, I've been waiting for the Sprint 4G launch ever since Google graciously gifted us the EVO 4G powerhouses back at the I/O conference. In fact, it was June 16th, which happens to be my birthday, when I first noticed a strong 4G signal in Mountain View, not too far from Google's own headquarters. Little did I know back then that the wait was not over, and we wouldn't be getting 4G until the very end of the year. I am glad to report that the cat is out of the bag, and the tentative when was finally let out by a Sprint rep via twitter. Sprint 4G Now Being Tested In San Francisco - Rollout Imminent? If you remember, a few months ago, I found a nice, strong 4G signal around Mountain View/Santa Clara, right in the heart of the Silicon Valley. 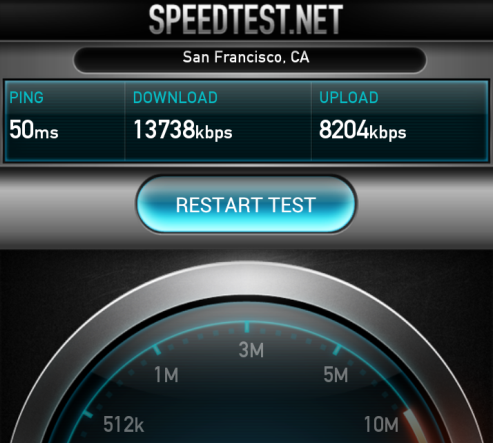 Sprint promised 4G in the Bay Area by the end of the year, so it was only logical to see them starting some testing. Today, it looks like Sprint kicked the testing up a notch and lit up San Francisco, according to reports by both IntoMobile and Engadget. Being a San Francisco resident, I was unable to confirm around the Ingleside district, so the coverage is likely to be spotty and concentrated on the downtown area for now. Is Sprint About To Release 4G To The Bay Area? It Surely Seems Like It! It's no secret that Sprint has had the San Francisco Bay Area on its 4G release roadmap for a while, with a planned release time frame of sometime this year. It's always been mind-boggling to me that the heart of the Silicon Valley, where Google itself lives, along with thousands of other tech companies, was not priority #1 for Sprint. Is it all about to change? I was getting off Caltrain at Mountain View this morning, playing with the EVO, as usual, when I suddenly noticed the 4G widget somehow switched itself on. 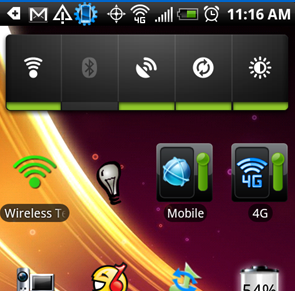 I knew we had no 4G around the Bay Area, so I never kept it on.